KLIM KRIOS helmet and Transitions® Face Shield adapt! A fresh start for Adventure Helmets, without compromise! 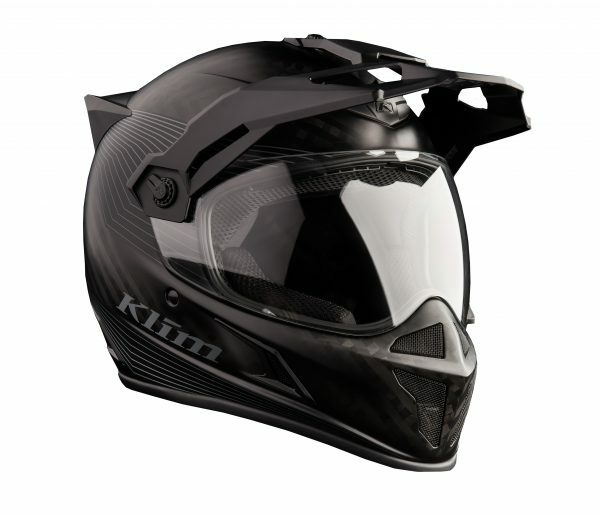 The KRIOS helmet from KLIM offers unsurpassed versatility! It is prepared for anything and equipped for every eventuality – a premium experience! Versatility, low weight, a great field of vision and high degree of comfort – this distinguishes KRIOS! Innovative modular helmet technology allows versatility – KRIOS adapts to all driving requirements! The fast adjustment from road to terrain! Four driving modes are available, which can be performed quickly without tools by a quarter turn of the visor securement! KRIOS is the helmet for the ultimate adventure journey! The lightweight under the Adventure Helmets only weighs 1,350 grams! The shell is made entirely of carbon with a wide carbon structure in the core. The optimal amount of resin (applied by hand) ensures a perfect, consistent shell in every section. No unneeded resin is left over; the weight is reduced and the uniform stability remains intact! Great vision is a prerequisite for each and every adventure driver! Thanks to the wide field of view and the clear or tinted scratch-resistant polycarbonate visor (both in the scope of delivery) – including an inner Pinlock® visor (to prevent fogging), KRIOS provides an outstandingly large field of vision! The Stealth Matt Black design comes along with something special: KLIM introduces the first optically superior shield system capable of the highest performance in all light conditions. Featuring proprietary adaptive lens technology from TRANSITIONS®, the face shield reacts instantly to changing UV levels. Riders enjoy reduced eye fatigue, increased light and damaging ray protection and superior clarity thanks to minimal lens distortion. By eliminating archaic internal visors, KLIM can deliver a superior riding experience with full field-of-vision and adaptive lens technology. There is no compromising on comfort! With the antimicrobial, antibacterial Klimatek™ comfort lining, an adaptable foam is used to provide the highest level of comfort. An intelligent ventilation system ensures an perceptible airflow, while the outstanding aerodynamics provides stability – even at high speeds! Recommended retail price: €499, available in 5 designs: Element Matt White, Stealth Matt Black, Vanquish Red, Vanquish Orange and Vanquish HI-VIS; sizes from SM to 3XL. 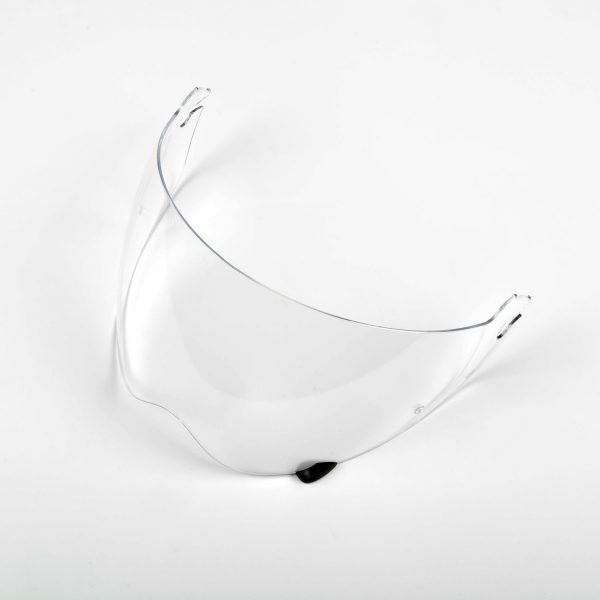 Transitions® Face Shield €120.